Anita Lucette DeFrantz was born in Philadelphia, Pennsylvania, on October 4, 1952. After growing up in Indianapolis, Indiana, she majored in philosophy at Connecticut College, graduating in 1974. Three years later she graduated from the University of Pennsylvania with a law degree. While a young girl, DeFrantz began her athletic career as a member of a swim team at a local park. At Connecticut College, since she was almost six feet tall, she tried out for basketball and made the team, even though she did not know how to play the game. It wasn’t until her sophomore year that she discovered rowing and knew she had found her sport. Four years later, after she had begun her study of law at Penn, she competed at the 1976 Montreal Olympics as a member of the U.S. women’s eight-oared shell. They came in third, providing DeFrantz with a bronze medal. Anita DeFrantz was convinced, however, that she could do better and was determined to try for the gold at the 1980 Moscow Olympics. She won a silver medal at the 1978 World Championships and was a United States National Champion six times. 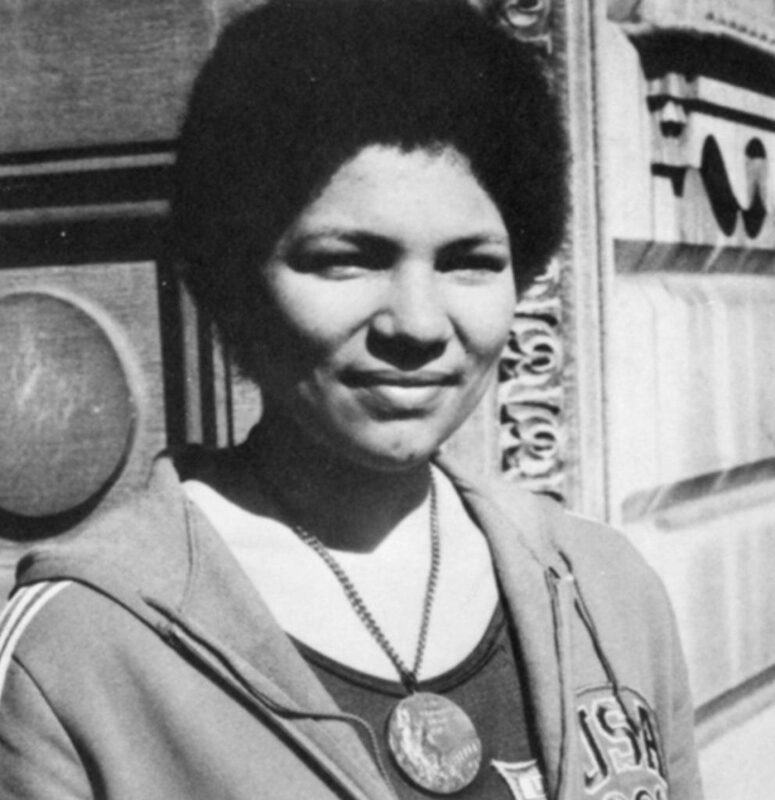 When Russia’s invasion of Afghanistan led the United States to boycott the 1980 Olympics, DeFrantz was extremely disappointed and filed a lawsuit based upon her conviction that it was the athlete’s choice to compete and no one could force an athlete to go or not go to the Olympics. She lost the lawsuit but she received a medal for her efforts from the International Olympic Committee. Immediately after law school, DeFrantz worked as an attorney in a juvenile law center. But, even after she ceased to compete as an Olympic rower, the Olympics became the center of her professional life. She has worked to shape the Olympic experience so that it promotes pure and clean sports; she has done this, not as an outside critic, but as a part of Olympic organizations at the national and international level. De Frantz has been a part of the Olympics as both a volunteer member of boards and committees and also as a paid staff person. A member of the USOC since 1976, she was hired in 1984 by the USOC to serve as vice president of the Los Angeles Games committee; she has directed Olympic Village housing projects for several games. She was also chosen to serve as president and a member of the board of directors of the Amateur Athletic Foundation in Los Angeles. This foundation was formed to manage the $94 million surplus that was Southern California’s share from the Los Angeles Olympic Games; it awards grants to youth sports organizations and manages a sports resource center that includes an extensive sports library. In 1986 DeFrantz became the first woman and the first African American to represent the United States on the International Olympic Committee. Eleven years later, in 1997, she was elected to serve a four-year term as the IOC’s first female vice president. As she continues on the IOC board, her activities include serving as chair of the Commission on Women and Sports.